One of the amazing things about the collection of data, especially in bigger cities, are the efforts to make more of this information publicly available for citizens to use for collaboration and organizing efforts. A great example of this is the LivingLotsNYC.org website, which was created by volunteers and staff of 596 Acres, a NYC based non-profit. 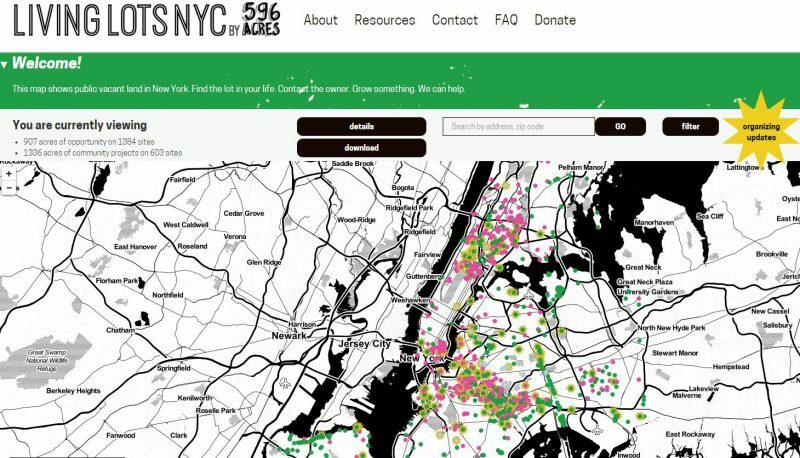 Living Lots makes information available on all vacant properties across the city as an organizing tool for those interested in creating community gardens and other pubic spaces. It uses a map-based approach and has interactive tools that allow people to begin organizing and provide updates as well. 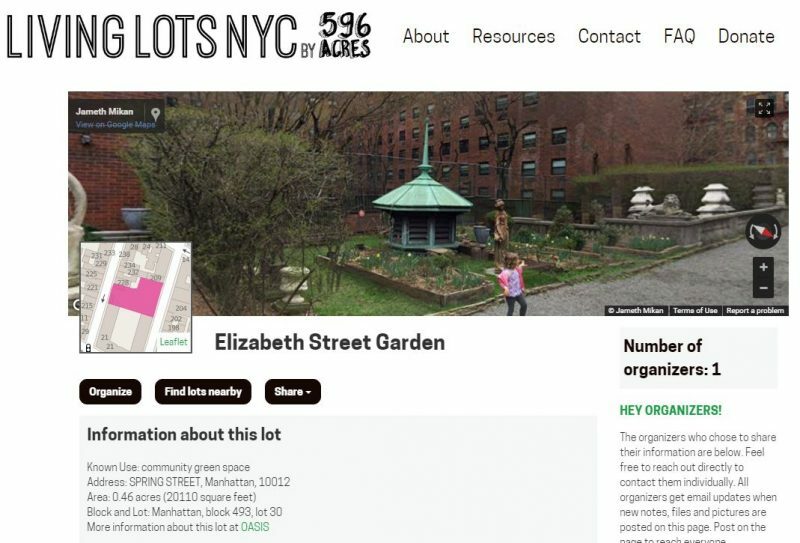 As one example, we have several screen shots showing the front page, performing a search and getting details about a current community garden, Elizabeth Street Garden, located in Manhattan. Home page of Living Lots website – colors indicate availability and usage. 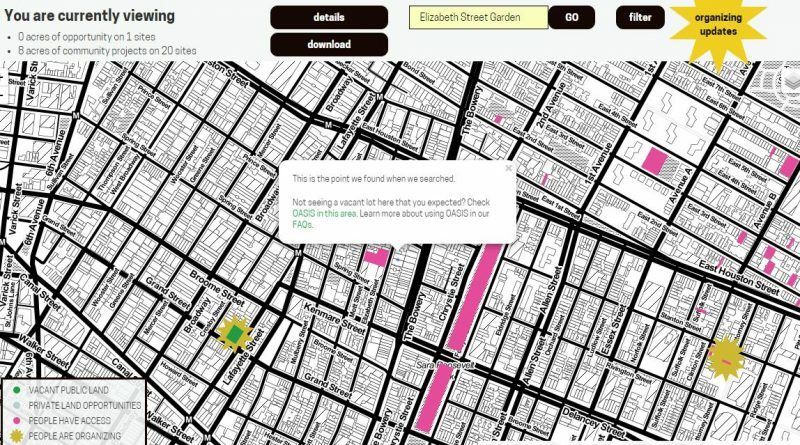 Search in Living Lots, showing location of Elizabeth Street Garden and other nearby properties.